We all want to look younger, but did you know that many of the little decisions that you make every day contribute to how young you look? Every little choice from the length of your morning shower to which lotion you apply to your face each morning will make a difference in how your skin ages and how you look. We caught up with Christine Mikesell of 15 Minute Beauty for her tips on keeping skin looking youthful in the short term and the long term. One of the biggest causes of premature aging is exposure to the sun. Every day you are exposed to the sun, which adds up quickly! A 2013 study in the Annals of Internal Medicine found that people who applied sunscreen daily had fewer visible signs of skin aging than those who only applied it when going outside for extended periods of time. So even on cloudy days, or days that you won’t be spending a lot of time in direct sunlight, it’s best to always protect yourself from the sun. The type of sunscreen you use also matters. Look for those that protect against the full spectrum of UV rays—check for the words “broad spectrum” on the label, as well as an SPF of 30 or higher. If you’re worried that you might forget to apply it every day, look for a daily moisturizer with built-in SPF so that you can combine skincare steps. 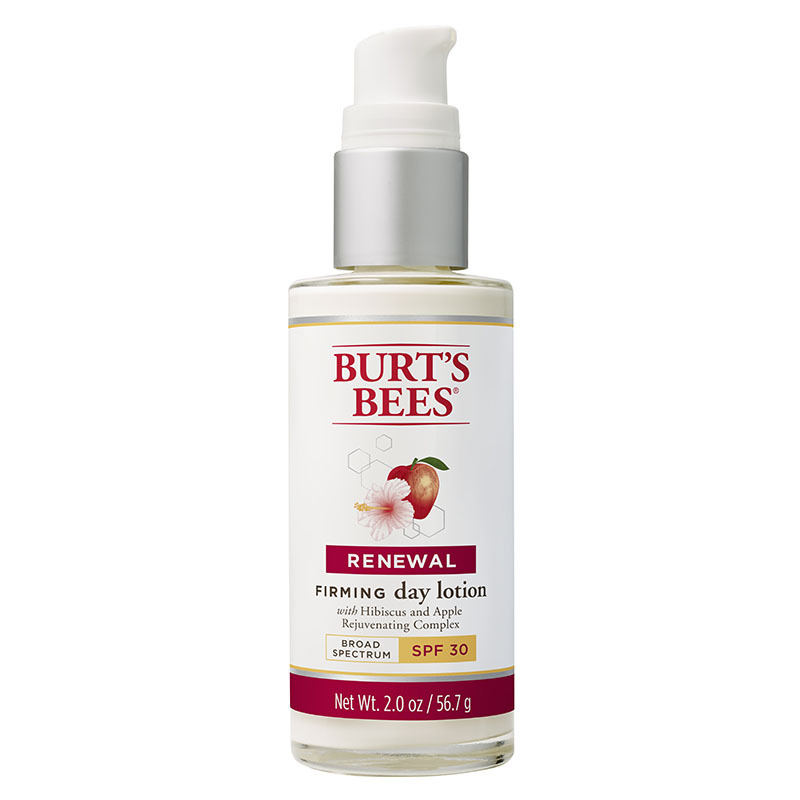 I really love Burt’s Bees Renewal Firming Day Lotion with SPF 30 as it’s hydrating and protects my skin from the premature aging effects of the sun. The decisions you make on a Saturday night while out with friends can really make a big impact on how your skin looks come Monday morning. Both smoking cigarettes and drinking alcohol can have immediate and long-term visible effects on your skin. The link between smoking and premature aging has been described for over 150 years, and recent studies have shown it to be even worse for your skin than previously thought. Smoking has been linked to increased wrinkles, a sallow complexion, and even grey hair. Some signs of aging associated with smoking may improve after quitting, such as wrinkles around the mouth. However, more intensive treatments such as peels or laser treatments may be needed to really erase the signs of smoking. Alcohol use is a bit more complicated when discussing visible signs of aging. In the short term, alcohol can dehydrate you, making your skin look tired and saggy. However, one study of identical twins did find that moderate alcohol use is associated with less skin aging. If you chose to drink, don’t overdo it and alternate your drinks with water to stay hydrated. The outer layers of our skin are actually dead skin cells, and gentle exfoliation will help to reveal the beautiful new skin underneath. This also smooths out the skin’s surface, helping skin care products to fully penetrate the skin, even out your skin tone and ensure flawless makeup application every time. You can use a chemical exfoliator such as a peel, or a physical exfoliator like a scrub. When exfoliating, your goal should be smoother skin that feels fresh, not red or irritated. 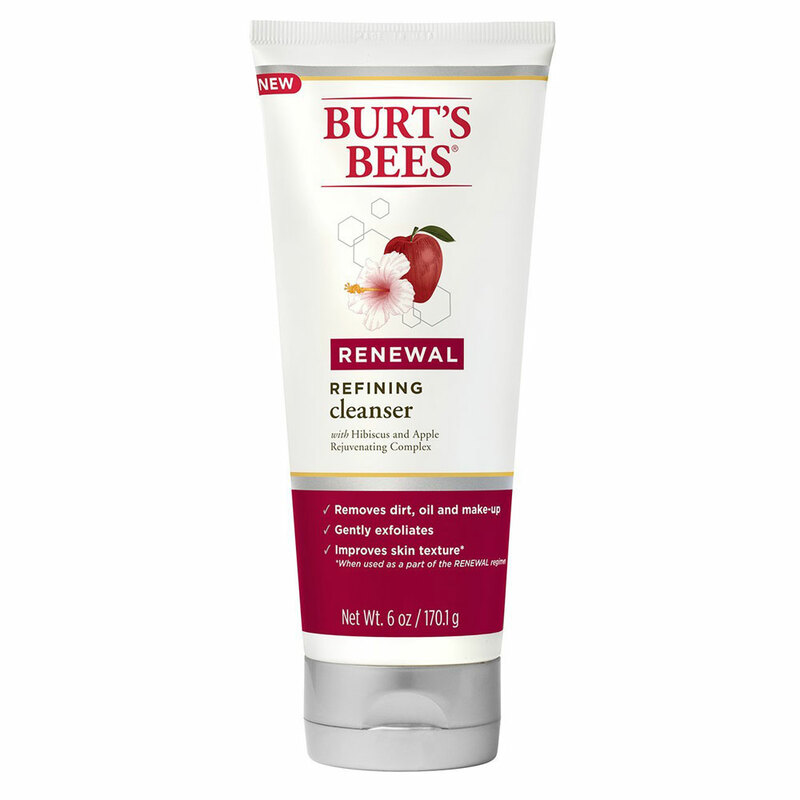 Look for a gentle product like Burt’s Bees Renewal Refining Cleanser, which is gentle enough to use every day. It is easy to see for yourself the effect that even one night of poor sleep can have on your skin and overall appearance. Those effects are real, researchers recently proved that beauty sleep exists! This study showed that people find well-rested faces more attractive than those that are sleep-deprived. And yes, sleeping too much is just as bad as not sleeping enough, so aim to get 7 to 9 hours of shut-eye a night. We all know that getting enough water makes us feel great, but did you know it also makes us look great? It’s true! Keeping your skin well-hydrated will plump up the outer layers of your skin, making fine lines and wrinkles virtually invisible. The good news is that a few small changes are all it takes to increase the moisture levels in your skin. Using a humidifier in your bedroom will keep your skin hydrated while you sleep. Keep showers short and opt for warm water, rather than steaming hot. And most importantly, after your shower, apply your moisturizer within a few minutes of drying your skin to seal in the water before it is lost. Apply a light moisturizer like Burt’s Bees Renewal Firming Day Lotion with SPF 30 every morning, and a hydrating night cream like Renewal Firming Night Cream before bed. The things we’re exposed to every day can really wreak havoc on your skin! Sun exposure, pollution, and dirt can all result in damaged—and therefore aged—skin. 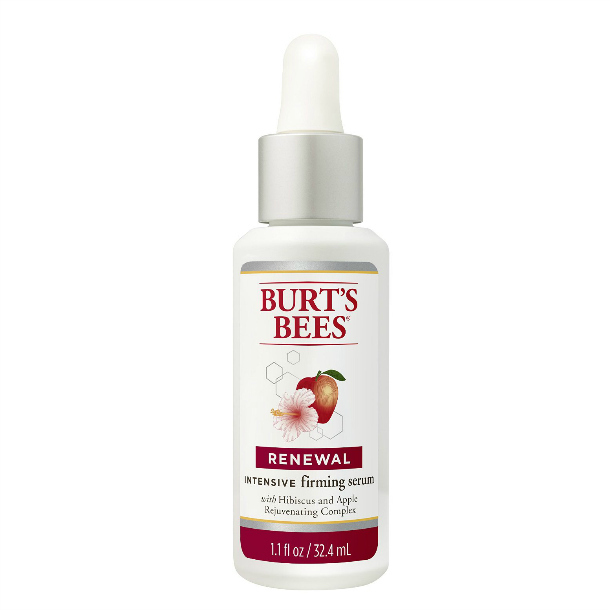 The hibiscus in Burt’s Bees Renewal Intensive Firming Serum will help prevent that damage with a daily dose of an antioxidants, while also providing lightweight hydration. And, added bonus: it also creates a beautiful, smooth base to apply makeup on top of. Consider this serum a tried and true multi-tasker. Read more: The Benefits of Adding a Serum to Your Skincare Routine.